The Maoist government has decided to step down the election in two phases only today, only after the decision taken by the government to withdraw the decision of Rajya Sabha and Representative for the post 10. Even though the government decided to elect Himali district on 10th and 10th in the district district, still the election law has not yet been made. And next week, there were three weeks after the local level second phase of the election was held, while Congress general minister Shashank Koirala's residence in Takhma, on June 5, a long political discussion took place between Shokkak and Shukhar Koirala. Three members of the Koirala family, politically, each other competed with food, "was the first to take the 13th anniversary of the political discussion. That's just a few short years later. The Nepali Congress in the first place in the Parliament scored second place in local level election. Then, it has also been analyzed that the workers' pressures and their dissatisfaction with the three Koirala have been given to give them a message. Similarly, three other members of the Koirala family, while meeting the same meeting, expressed the sympathy of the meeting, while Bimlaendra Naidi was in the 10th position in the party's tenure. "The Prime Minister Sher Bahadur Deuba was in Delhi. In today's trumpet, I am discussing "Nepal's internal politics, the current government and the upcoming elections." Specifically, what is the political objective of the last snowfall between three Koirala? Why does the candidate's election take place repeatedly? What may be the purpose of the state assembly and the representatives of the two candidates in two phases? Why Congress should be second in six territories in the local level elections? Did Indian Diwas need to talk about the constitution amendment in the joint meeting of the Indian counterpart "GCOO"? Why is the Nepali Congress doing so in favor of the law to punish those who have paid punishment for criminal offenses in the election? Will Vimenderra Naidi be the acting chairman? "Why did you oppose this? I will find answers to questions including Nepali Congress President Central Shekhar Koirala. 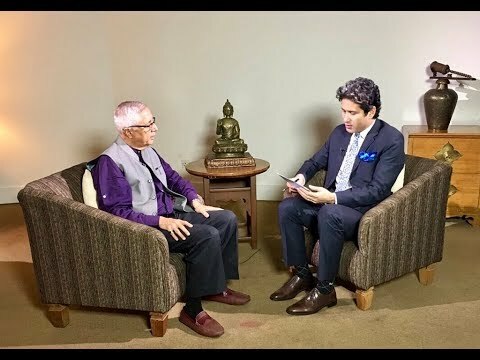 Let's welcome my guest today Dr. Shekhar Koirala.